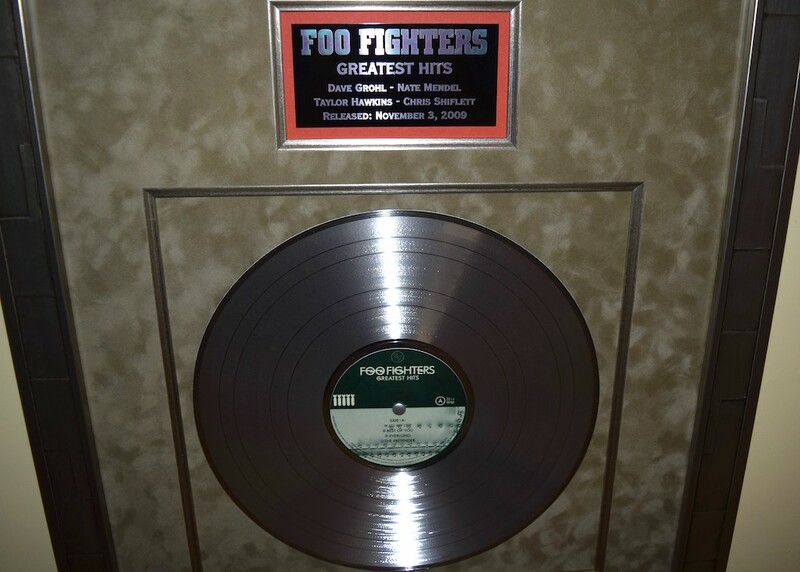 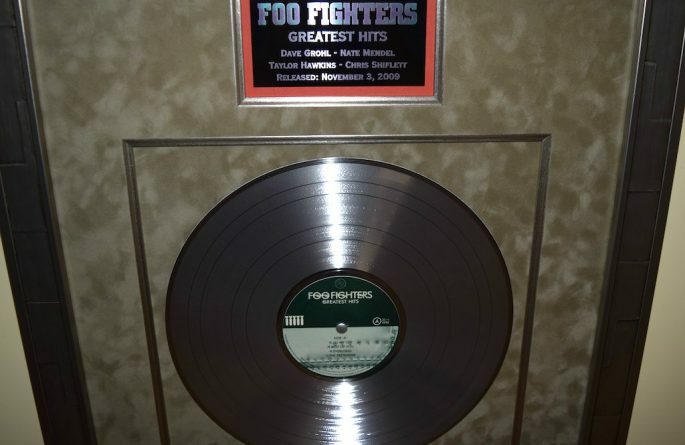 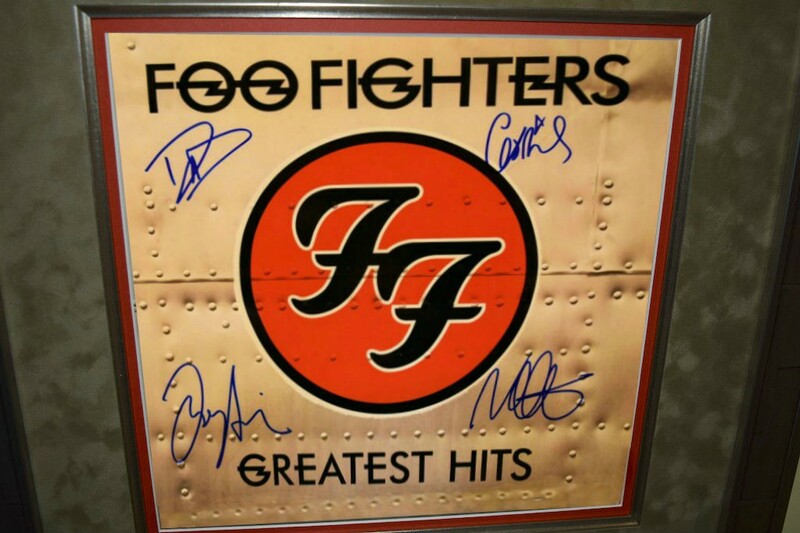 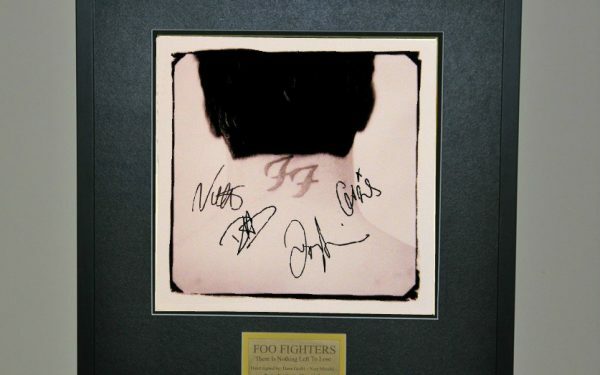 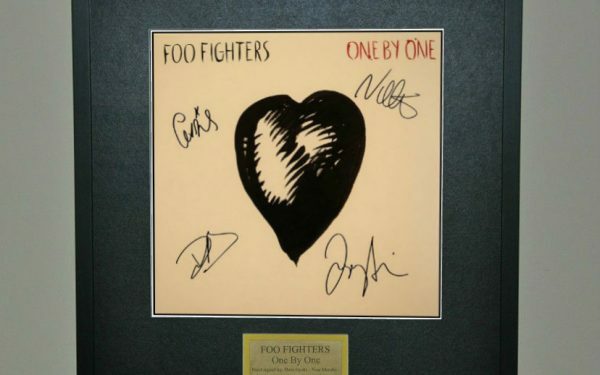 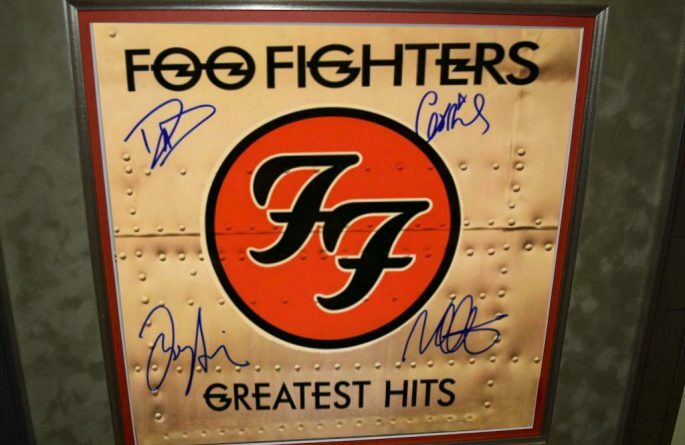 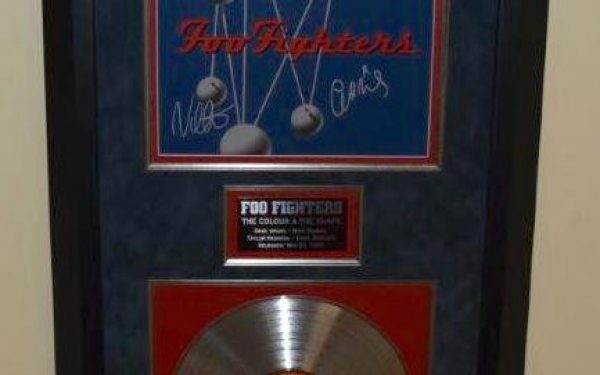 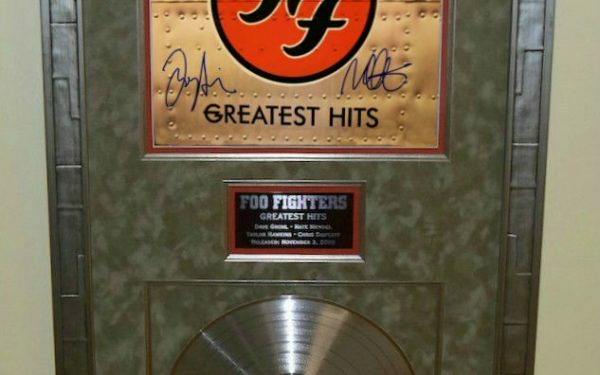 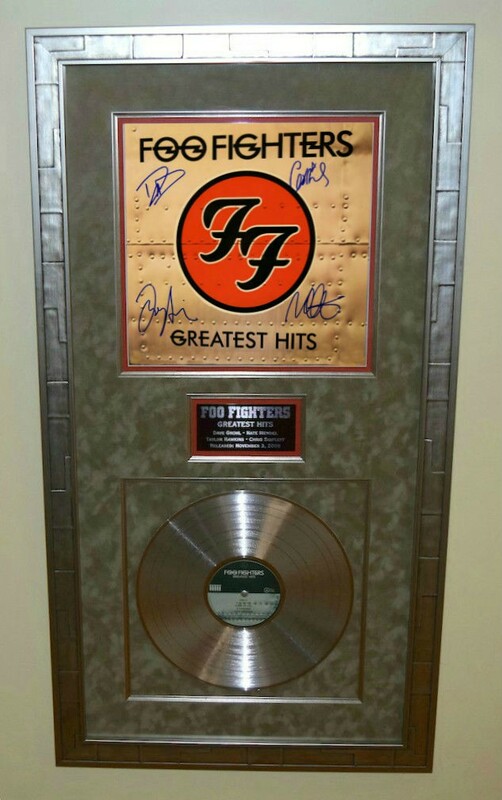 Hand signed by Dave Grohl, Chris Shiflett, Nate Mendell, Taylor Hawkins. 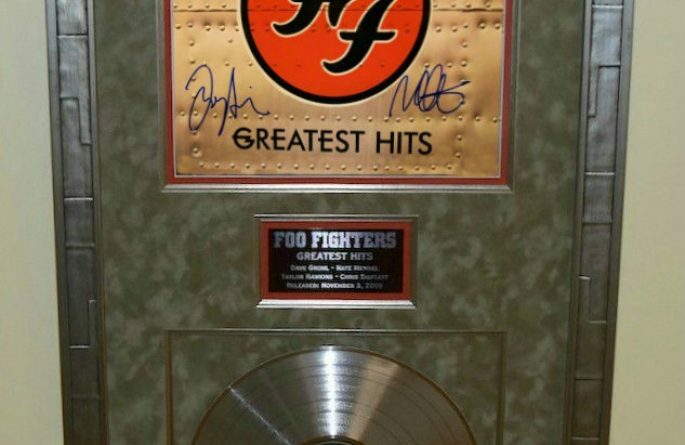 Custom Designed Vertical Award Style framing with two Suede Colors and a Genuine RIAA Platinum Award Album. 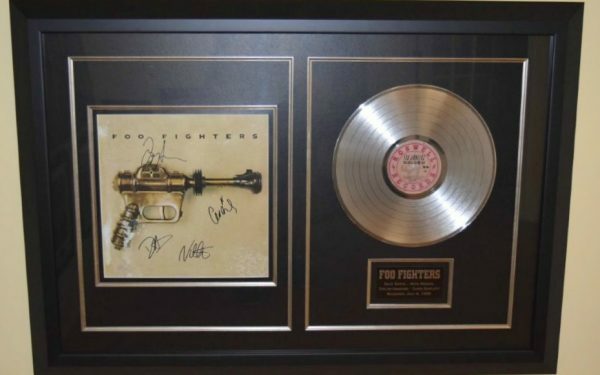 The Imported Hard Wood Frame looks like Metal to compliment Airplane Cover Shot!